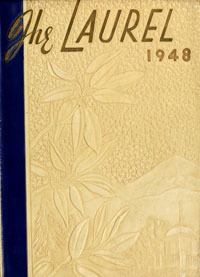 Student yearbooks from Mars Hill College (now Mars Hill University) are now available on DigitalNC. Eighty volumes of The Laurel, ranging in date from 1917 to 2008, can be searched and browsed online. The yearbooks are from the collections of the Renfro Library at Mars Hill University.